After you are done building your website, and upload some content, the next thing will be indexing your pages on Google. You will be doing this to get your website ranked better for more traffic which translates to more business. Without having your page indexed, it will be hard for one to know about the website. In addition, an indexed website will be ranked better in search engines, and it will receive more traffic that is targeted and organic. With a website that is not indexed by Google, it will be hard for it to be searched through targeted keywords. Indexing will go a long way in driving organic traffic to your site and assist in diverting targeted traffic to your pages. There are a couple of methods that will go a long way in getting more pages to be indexed by Google. It will be a great idea for you to make use of social media and bookmarking sites. Start by posting a link to your site on the bookmarking sites or placing a link to your site’s page on social media. Links that point to your site need to be of quality, and this will translate to higher index rating for your site. You need not create backlinks to your homepage. Build your links naturally throughout your site to have a sitemap, and this will make it possible for the Google bot to crawl your site with ease. With this, it will be easy for you to target a specific webpage of your liking. Maintaining a high rank in search engines will require you to have content that is fresh and up to date. 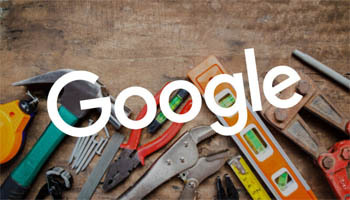 When you take long to update your site, Google will assume that the content on the site is stale and this will lead to your site’s rank being lowered. You need to take your time and apply the techniques described above to make it easy for your site to be indexed and ranked in search engines.